Unquestionably the quintessential Motown group, the group that would become synonymous with Motown, the group that would take the world by storm, the group that would score Motown no less than twelve Number One pop singles, among them some of Holland-Dozier-Holland’s greatest, most wonderful records. The Supremes: the Motown group. But it started so far from the spotlight that the odds on any of those things ever happening wouldn’t even have been worth mentioning back in 1959. Some history. As every Motown nerd knows, the Supremes didn’t start out at the top of the Hitsville pecking order; in fact, for the first four years of their involvement with the company, they were closer to the bottom. Like the Beatles before them, they were grudgingly carried along by their more successful peers, scorned for both their lack of commercial success and their awkward, ugly first steps, earning themselves the ubiquitous nickname “the No-Hit Supremes”. The group weren’t daunted, and refused to be broken (as if a character like Diana Ross would let a few jibes and cold stares get in her way). Instead, they served their long, hitless apprenticeship, doing shows from the bottom of the bill and then watching and learning in the wings, before putting together everything they’d learned, taking off almost without warning and eclipsing their erstwhile betters on a previously unimaginable scale. The Supremes started as a quartet (depending on your level of Motown nerdiness, you may already be shouting “Barbara Martin!” at the screen. In which case, sit down.) Florence Ballard, Diana Ross, Mary Wilson and Betty McGlown formed the Primettes in 1959. Like Smokey Robinson, all four girls were residents of the grim, gargantuan Brewster-Douglass high-rise council estate that towered over Detroit’s East Side, home to over ten thousand people. The Primettes were formed as a female counterpart to the Primes, a popular male vocal group on the Detroit live circuit who would eventually merge with another group to form the Temptations; the Primes’ Paul Williams was going out with Betty McGlown, who was friends with Ballard, who was friends with Wilson, who was friends with Ross. At some stage they also recruited guitarist Marv Tarplin, who ended up being poached by Smokey for the Miracles. All aged between 14 and 16, and earning a strong reputation, the young quartet used their relationship with Smokey to land an audition for Motown at the start of 1960. The audition didn’t go well, but the girls were undaunted and cut a fun, frothy Primettes single, Tears of Sorrow / Pretty Baby, for the Lu Pine label a couple of months later. This was the last showbiz sighting of Betty McGlown; she left the group to get married, replaced by schoolfriend Barbara Martin. The Primettes’ youth and their artless lack of finesse didn’t do much to endear them to Berry Gordy, but with Motown’s star in the ascendant the young group started hanging around the Hitsville USA reception before and after school, doing impromptu office junior work, occasionally being drafted into studio sessions (as almost anyone who happened to be hanging around the increasingly crowded building would be) as handclappers and footstompers, and pestering passing songwriters and producers to give them a shot. Gordy himself told them to get lost on at least one occasion; luckily for him, they would still uniformly turn up the next day regardless. Which is pretty much where our story picks them up. The four Primettes, as usual, were mooching around the office in January 1961 and buttonholed “singing mailman” Freddie Gorman, who happened to be Mary Wilson’s postman. It was their lucky day; Gorman had just been writing a song with his new writing partner, one Brian Holland, who promptly came out and asked the girls to pop into the studio to try out some harmonies for the song. The result worked so well that the two budding songwriters had the girls try out a few more things. After this had gone on for a few minutes, Berry Gordy emerged to find out what the commotion was, and again told the Primettes to sling their collective hook. (The quote given in The Complete Motown Singles: Volume 1 is “I don’t want another girl group”, which is incongruous at best, since at that time Gordy didn’t have any other girl groups on the books – the Marvelettes hadn’t been signed yet, and wouldn’t release their first Motown single for another six months). Instead, Holland and Gorman stood their ground and excitedly asked Gordy to listen to what they were doing. Gordy was hooked after a couple of minutes and started writing some new lyrics for the song. The song, if you hadn’t worked it out by now, was this song, and while it wasn’t the first thing the group recorded at Hitsville once they were officially signed up (After All, trivia fans), it became – once it was brushed up and reworked to Gordy’s satisfaction – the first single for the hastily-renamed Supremes, the first female vocal group to sign with Motown. It’s a real oddity, this; it bears the same relation to the Supremes’ mid-Sixties hits as Love Me Do does to the Beatles’ Revolver, but it’s also totally out of step with the rest of the Supremes’ pre-1964 output. The rest of the Supremes’ early singles (most of them featured, along with the two sides of this first 45, on the group’s début LP Meet The Supremes, left) are cut from the same cloth as their Primettes single – light, graceless, upbeat, charming Fifties girl group pop with a massive dollop of doo-wop and all the bite of a milkshake. This, though, is completely different. For a start, the structure is just from another planet. The song seems to have started out as a doo-wop ballad in the mould of a thousand other early Motown slowies; instead, it’s mutated to a point where those origins are barely recognisable. Opening with a hesitant, echoey Ondioline organ riff, frosty and alone, setting the song’s yearning tone straight from the off, there’s the merest hint of a gliss before we’re treated to a couple of organ-backed bars of brushed drums and intricate bass and guitar work, before all the music stops nine seconds in and the world is introduced to sixteen-year-old lead vocalist Diana Ross, who’s left to carry a complicated tune all on her own – “I – i – i – i – I / Want a guy” – before the band and the organ come back in, and the other Supremes start singing backup, completely flat and yet somehow fitting the melody with lethal accuracy, and then out of nowhere, over the top of everything, comes a prominent flourish of jazz flute courtesy of Beans Bowles… It just keeps coming, and it’s as though the general aura of “oh, what the hell, let’s sign them” has permeated the entire session, and everyone is trying new ideas, all at once. I’m making it sound as though it should be a disaster, an unlistenable hotch-potch of crazy ideas, but in fact it’s so good it’s almost gallingly perfect. There’s nothing about this song that isn’t riveting. I’m no fan of Diana Ross, at all, and I give advance warning right now that she’s going to come in for a fair bit of criticism over the course of this blog, but she totally nails this one. It’s the song of a yearning, lonely young girl, and it’s an astonishing match of vocalist and material that Ross wouldn’t manage again until being forced to sing below her usual range on Where Did Our Love Go three and a half years later. When she sings “I’ll never be lonely again”, to a melody Brian Holland would have killed to hit on again during H-D-H’s mid-Sixties heyday, her performance is so spot-on you know she believes every word of it. The bridge – where the nascent Funk Brothers highlight what is easily their best band performance to date, strumming and then jabbing guitars in perfect unison – “As long as he holds me tight / As long as he treats me right” – is more Brian Wilson than Brian Holland, and it’s just incredible. I could go on. I won’t. I really wanted to dislike this, before I’d ever actually heard it. I had it in my mind that the Supremes were nothing special until H-D-H took them over; certainly the virtual crateful of mediocre singles that come between this one and When The Lovelight Starts Shining Through His Eyes nearly three years later do nothing to dispel that theory. But this is immensely likeable, genuinely beautiful, and above all pants-wettingly good. Even if it sounds nothing like the Supremes everyone knows, it’s as good a début single as anyone, anywhere, has ever recorded. Ever. Wow! Somebody else loves this song. It’s always been a favourite of mine and should have been a hit for the girls. Some people don’t seem to like Diana’s early vocals, but even on songs such as this, I think she’s on top form. I always liked I Want A Guy; I like Your Heart Belongs to Me and then generally, I don’t like a lot of the early singles. Most of them were do wop 50’s girl group stuff and Buttered Popcorn was horrible. It was lucky for us all that Where Did Our Love Go happened and we got the Diana Ross sound. Some long-overdue agreement from me on everything you said there. It’s hard to imagine the success the Supremes and Diana Ross had with this as their premier Motown single. It’s dreadful. Ross is so nasal and shrill and a little flat at times. The single recording fades the Supremes out to make the ending a Ross solo…which shows Gordy’s interest in her even at this early stage. I agree, Rick, the Supremes version of this is horrible. The ondioline in the intro doesn’t help either. My rating: 2/10. The Marvelettes’ version puts it to shame. I split the difference between the review and the letters that preceed me. Naturally, I like them for very different reasons. For example, I’m in agreement with letters above about the lead vocals. Ross has a certain charm, albeit a whiny, flat charm. But the Marvellettes lead is so so much more satisfying. I agree that the goofy arrangement here has many charms, some of which I miss in the relatively simple girl group approach of the Marvellettes version. But the Marvelletes version is more compelling. It just has more forward moment, more push, starting with those opening, “AAAAAhs”. Nonetheless both of these versions are on my short list of about 180 essential 1959-71 tracks. 🙂 I love it when readers give their own marks. Welcome to the Sound of Young America being born! I liked it and bought it and nobody cared anything about some girls called the Supremes. Being on Tamla was a sure way to get my attention. I was so struck by Diana’s crisp voice, years later I see why Berry nurtured her. I notice the obligatory flute, brought with them from Tears of Sorrow as well as many Marv Johnson tunes. If Mary had been given lead, it would not be the same, as far as the Marvelettes cover, I wouldn’t dare compare. They’re both unique and super…a 9. I hadn’t read this until today – thanks Steve! Always nice to know other people love this record. Wow… a 10/10! I’m surprised. There is a lot I like about this song… but the other thoughts that enter my mind as I play it in my brain = “adenoidal” and “pitchy.” In the spirit of full disclosure, I’m a titanic Supremes freak. I look forward to your future Supremes reviews! Thanks ExGuy, much appreciated. I’m currently in the middle of writing about When The Lovelight Starts Shining Through His Eyes, I hope you enjoy that one when it goes up! I don’t know if anyone agrees with me on this one (though lots of people above have declared their fondness for it, which is very gratifying), but I promise that 10/10 isn’t some misjudged attempt at notoriety; it’s a song and a record I really do love. It has almost nothing to do with the Supremes – I still stand by the comparison I make with the Beatles’ Love Me Do, and I wonder what people would think of it were it credited to the Primettes instead – but it’s just such a magnificent record, and because it’s so complicated and messy, each listen seems to tease something new out of it, even after hundreds upon hundreds of plays. I wrote the review long before I started assigning marks out of ten (that only began around 200 reviews in, I think), and at first I thought eight. But then I thought, well, that’s ridiculous, I love this record and I’d only be marking it down because of its relationship with the later mid-Sixties Supremes’ smashes, when if it was just some random never-heard-from-again girl group, I’d look upon it more fondly. So, nine then? But playing it over and over again, it brought me out in goosebumps – especially that ending, where Diana sounds so utterly lost in her thoughts, almost otherworldly – and I realised I’d be lying if I didn’t acknowledge it as one of my absolute favourite records from either (a) the Supremes or (b) Motown, even though it really sounds like neither and even though it comes so early in the catalogue. Since (as far as I can tell) nobody else is standing up to make the case for it being a masterpiece, I thought I’d better put my money where my mouth is. I stand by the 10. I’m surprised no one’s mentioned the most blatant Beatles connection thus far in the survey. The opening of this song is almost identical to There’s a Place from the Please Please Me album – especially the a cappella first line. This almost goes beyond nicking – and perhaps would stand up in court. That said, what comes afterwards in There’s a Place results in a far more end result, even though it was based on a lifted idea. I love both songs, but There’s a Place has the type of harmonic invention that Motown would arrive at until the later HDH stuff. Very interesting observation Mr. Moore. Just listened to both songs & there is a similarity. I wonder, though, if the Beatles has even heard “I Want A Guy”. Still very interesting. Welcome to Motown Junkies sir! In various Beatles bios, including the gold standard, Lewisohn’s Tune In, the story is told from various sources that the Beatles were not only as much Motown Junkies as were all are, but they were very specifically B-side junkies as well – always looking for the obscure gem that no other Liverpudlian band had found. So I think it’s fair to say that if we hear ANY reference, however subliminal, The Beatles had devoured the 45 in question. Also remember that their manager owned the best stocked record store in the country, giving them even better access. But this particular song, I think, goes well beyond subliminal – it was a very conscious “nick” as McCartney is so often quoted as saying. I think their working method was to find a great song (the more obscure the better) and keep changing it until they had something that was greater than the sum of the parts. Wow! That is really interesting. I will have to check out the book you mentioned. I have read many Beatle books. I remember McCartney saying that he was worried that “Yesterday” sounded too much like another song. If possible, I’d suggest the audiobook version of Tune In – the narrator is brilliant. It’s a 40+ hour book (I think about 1500 pages) that covers the Beatles only up to the release of Please Please Me in 1962, so it’s as much about the music the Beatles listened to as the music they wrote and covers the precise period (and many of the same tracks) we’re devouring here is CMS Volume 1. The author plans two more equally massive volumes, but the second won’t be out for a few years. On the Yesterday anecdote, it all ties in with this “nicking” concept. McCartney knew he was nicking (in an obviously artistically valid way) and could tell you where he got the inspiration for each song and was confident that he had created something over and beyond and was safe from copyright issues, BUT, in the case of Yesterday, the melody came to him fully formed and he was certain he’d stolen it from somewhere and if he didn’t know where, he didn’t know if he’d recomposed it sufficiently. Wow! You are a wealth of information my friend! I went through a period in college where I dabbled in songwriting (about 12 songs). I performed a few of them at coffeehouses in college (my vocals & piano). I actually desired to write a song that people would say “hey! that soulds kind of like (famous song)”. No such luck! My college roomate (some 38 years later) tells me he still hums one of my songs in the shower! Oh well. Best to you sir! Thank you! “When the Lovelight” was the first Supremes song I heard, and I vividly remember the night I heard it on my transistor radio. I lived near Albany NY and at night I was able to pick up CKLW from Detroit. I didn’t hear who the group was, so I spent days trying to hear it again. I even wrote down a few musical notes on a piece of paper so I’d remember the tune. When I heard it was by the Supremes, I went to the record store and asked for it, but they had never heard of the Supremes. That was the start with my life-long love affair! I can’t wait to see your review. All I can say it’s that it’s no accident the song flopped miserably. Eh, I don’t know. Most great pop singles are hits, but most hits are not great pop singles, so while it’s gratifying when something magnificent hooks up commercially and sells a million copies, well, I don’t know how far you can necessarily take the “success = sales” maxim; a lot of superb records aren’t necessarily effective pop singles (this one definitely isn’t! ), but I don’t think that inherently makes them any less good. Absolutely.. but here in the U.S. there are at least regional hits. “I Want A Guy” wasn’t even a hit locally in Detroit or in any other city. A record could be a hit in just R&B markets. IWAG didn’t catch on in the least. The Supremes themselves joked that the record sold 3 copies and they were the ones who bought them. I don’t think they’re exaggerating. Despite being a Supremes fan I’m being generous giving it a 2/10. This is the great thing about music. Everyone brings their own background and taste to the listening experience. Something about this song resonates for you. That’s great. There are definitely cross-cultural differences in the consumption of R&B music. Like Northern Soul. I like some of it but I find most of the Northern Soul popular songs to be mediocre at best. A lot of that stuff didn’t hit in the U.S. when it came out because we didn’t think it was good stuff. Many of the artists themselves don’t think it’s good. I’ve been listening and dancing to Motown for many years and there are definitely tracks that should have been hits, but the majority of Motown’s releases that weren’t hits didn’t deserve to be. IWAG, in my opinion, is one of them. Don’t care for this record that much. Not terrible but not great. Main complaint is the nasal singing. Was a little before my time so I only first heard it on Meet The Supremes purchased around Xmas ’64 (along with Beatles ’65). Was disappointed by most of the tracks on that album with the exception of Let Me Go The Right Way and Time Changes Things. But I really like what you’ve said about this track and when I went back and listened to it (first time in maybe 35 years? ), I came away with a revised opinion. (Well, how informed an opinion can a 13 year old kid make?) Maybe went from a 2 to a 5. But I like seeing your 10. Made me scratch my head when I first saw it. That’s your first Motown 10? It placed higher than Shop Around, Way Over There and (a personal favorite) Bye Bye Baby? While I disagree with you, I still like seeing your 10. To paraphrase Tammy Wynette “stand by your ten”. Thanks for making me reassess. BTW This is the first time I’ve come to this site. It’s great. It’s just what I’ve been looking for. I’ll be spending a lot of time here. Probably mostly lurking and soaking things up. Don’t have a lot of first hand info to provide. I was just an intense Motown listener / buyer from about 1962-1968 before I moved on to other things. But I always seem to come back to this music. One of the most perfect Motown songs is the solo version of I Want A Guy on the Meet the Supremes Deluxe Edition. I agree with the reviewer here totally. Diana Ross only got this perfect a few other times…………in Lady Sings the Blues, on Where Did Our Love Go and Someday We’ll be Togehter. Cant stand this record. I KNOW they worked with Diana to develop her voice because the early songs prove Mary Wilson to be a much better vocalist although her voice was not unique. Nice to see the story of this 45 completed, with the scan of the Motown pressing. Every Motown Junkie needs to listen to Diana’s solo version of I Want A Guy on the Expanded Edition. She is singing in a lower register. All the background behind her is gone. This is why years later Lennie Tristano said Diana Ross was the greatest jazz singer since Billie Holiday. She never sang this way again until Where Did Our Love Go or perhaps even until Lady Sings the Blues. It’s certainly fascinating, and the full-on organ gives it a weird, spooky atmosphere, very ethereal – but I still prefer the single version, I miss the other Supremes and the flourishes and touches added in production, while I think Diana sounds better on the 45 – I really do think it’s wonderful. Thanks Damecia – hope you enjoy the rest of the site! Not many people do like these two sides, and they’ve certainly got nothing to do with the future glories of the Supremes, but I find them special in a different way. Welcome, Damecia, You have found a superb site to learn about Motown. In addition to the wonderful Nixon Administration, you’ll find a supreme wealth of Motown knowledge for NA’s followers! Even though I don’t dig the song that much I love the fact that it doesn’t sound like anything else they ever recorded. Also, I wasn’t aware or never even thought about the fact that The Supremes were the first girl group signed to Motown (Thank You!). If you don’t mind me asking what is your favorite Supremes song of all time? Mines is “Reflections”. Great intro, beautiful and descriptive lyrics and well sung by Miss Ross. LOL oops sorry. I was just curious to know. I just went to the Master Index and saw that you were doing them in chronological order (WOW!). I definietly will be posted. I Hear A Symphony is a beautiful song as well = ). I like “Run, Run, Run” best. But I like probably more than 100 Motown artists/groups better than The Supremes. In theory, and on paper, they wouldn’t be my favourite group either, and yet I think they’re going to end up with more tens than anyone else. Contradictions, contradictions. It’s the genius of Holland-Dozier-Holland. Agree! Those guys created beautiful melodies and lyrics. With that said, the girls are equally important. Miss Ross as lead and Flo’s clear soprano mixed with Mary’s sultry sound is unmistakable. Later the Andates would be almost as great in the background. I think “I Want A Guy” has a beautiful melody. In Olympic terms, if 10/10 is a gold medal winning performance and 9/10 deserves a silver, for me this record only just misses out on the bronze. Incidentally my all-time favourite Supremes’ track was only a b-side. I’ll let you know when it gets reviewed. (LOL) Okie = ) I bet I’ll be surprised. Don’t like it, never have. I skip over it whenever I’m listening to a CD that contains it. However, based on your review, I will give it another go soon, just to see what you like about it. It’s sorta like Karen Carpenter’s solo album; if you’re a fan, you’re almost obligated to listen to it at least once. But then go back to the good stuff. Interesting comparison! This really has nothing to do with the Supremes as we know them, so a better analogy might be going from the Beatles to one of Harrison or Lennon’s experimental side project LPs. It’s definitely not for everyone, and if you go in expecting “Come See About Me” you’ll probably end up throwing the record out of the window, but if you listen to it on its own merits… well, you’ll probably still hate it, but there’s a tiny cadre of weirdos out there who’ll absolutely adore it. And I adore it. I always chuckle when I read or hear comments like that. It’s like, I love a lot, if not most, of Diana Ross’s work, but I just don’t like her. Why does anyone feel the need to qualify their praise or admiration of her work that way? I don’t think I ever hear that said about any other singer. Any. Are you serious? The Internet – the world – is full of qualifications and disclaimers like that, whether it’s people twisting themselves in knots to avoid category errors (I like person X. I don’t like record Y. But record Y is by person X, so I must learn to appreciate the merits of record Y, or the opposite) or, perhaps just as widespread, where it’s helpful or even necessary to separate the “real life” personality of the artist from the persona they’re portraying on the record. I’d say I’ve probably read thousands of those, going back pretty much to when I started reading music criticism, never mind writing it: I know they’re an (obnoxious tool / bitchy diva / wife-beater / drug fiend / Lakers fan), but this record’s beautiful, or a wonderful person, witty and charming, and they once helped me move a sofa, but I find this a bit dull, or, maybe most pertinently of all, I’d like this better if I didn’t know it was X singing it. All of that being said, I wrote this almost four years ago, having done little background reading and being largely unfamiliar with the inner workings of the career of the Supremes. Diana Ross has an unflattering (and not entirely undeserved) reputation as a difficult personality with a big ego, so to encounter her gawky, vulnerable teenage self laying her soul bare was both a surprise and a revelation. I discovered your blog only a few days ago. For some reason, Ask Any Girl was running through my head, and I Googled it and here I am. I love your blog. I love you for doing it. What an undertaking! Your blog really is, for me, heaven on earth. I’m a Supremes fan beginning in 1965 when I was six, and Stop! was everywhere. In the decades since then, I’ve survived many an argument/discussion on Internet groups and blogs and boards dedicated to the Supremes, Florence Ballard, Susaye Greene (the self-styled Last Supreme)… Believe me, the sniping about who was really responsible for what and who did what to whom can get deadly and personal. So I love coming to a place where, not only can I read varied and intelligently written opinions about the music I love so much, but can also voice my opinions. As for Diana Ross’s divaliciousness, I’d say not only does she deserve the reputation, but she’s EARNED it. (I’m not screaming with the all-caps, I just don’t know how to put text in italics here for emphasis.) A rising tide does indeed lift all boats, and at Motown Diana Ross was that rising tide. In her quest for stardom and fulfillment of her potential, she left no one behind; she helped everyone get a chance they might not have gotten otherwise. What they did with those chances varies wildly. You have Mary Wilson, whom I love, but who has turned into a bitter old woman. You have Florence Ballard whose misguided desire for the group to remain a hometown act that continued to play as sock hops led her to her downfall and demise. And then you had acts like the Four Tops and Temptations who were only too happy to ride the Supremes’ glittery coattails into top-notch engagements and lifelong careers. And finally, as for the I’m-not-a-fan disclaimer: I’ll take your word for it, but honestly, I never hear or read anyone say anything like, “Marvin Gaye was a depressed, depressing dope-head, but I like his music,” or “John Lennon was such a weirdo and I’m not a fan of his at all, but his music was pure genius.” Maybe people do say things like that and I just don’t notice it. And being the Supremesaholic that I am, maybe I’m just too sensitive about criticism of the group or its members. I’ll own that. Again, a million-times-infinity thanks to you for this blog. I feel at home here. I’m dead serious about that. Thanks for the kind words, Robert, it’s always nice to know people understand what I’m trying to do here. On that last paragraph: yes, I’ve absolutely read both of those things (almost word for word in Marvin’s case). The panel murmured in agreement and sympathy. Okey dokey, I stand corrected. Thanks! What you said about Miss Ross I couldn’t have said any better. Thanks Damecia. I’m not an apologist for Diana Ross or anyone else. I just see it the way I grew up seeing it and the way I truly believe it is/was. I have a lot of ideas about why lots of people don’t give her due credit for what she accomplished, but I’ll keep those to myself. I will, however, add this to my comments above: In addition to everything she achieved professionally, and the record books have those details, she also managed to bring up a brood of pretty decent, respectable and hardworking daughters and sons. I am one of the first people to say that Miss Ross is terribly underrated and overlooked at all given times. Not only in the music industry, but also film as well. Well, I listened to it again today. Actually got through it without skipping ahead. I remembered one of the things I don’t like about it is its resemblance to the godawful Two Faces Have I by Lou Christie. If I want to hear a calliope, I’ll watch an old circus movie, LOL. Sidenote: It’s not an actual calliope, but rather Miss Ray’s primitive little Ondioline keyboard, the instrument Motown was using to cover most string and organ parts back in these prehistoric days. (It’s very prominent on the Tempts’ Dream Come True and the first Marvelettes album, among others). Much cheaper (and much, much smaller) than a Rhodes or B3. Wandering through the site randomly so the comments may be a little late. I once possessed the first Stateside album of Tamla hits and seem to remember a couple of early Supremes but can’t recall which, maybe even this one? Not a real fan of the early raw stuff but reading your review and then listening more attentively than I would do normally I found here and there that one can hear the nascent Diana of later hits. So the review makes sense for me. The very knowledgeable man this information comes from also informs us the backing vocals are performed by non other than Florence Ballard and the Primettes. Great studio and label and in common with Golden World/Ric Tic etc etc a lot of the Snake Pit and others in Detroit Moonlighted around the burgeoning music scene at that time. Leaves me wondering if the Supremes to be backed any other Detroit tunes. I think The Primettes/Supremes also backed James Velvet on “Bouquet Of Flowers”, Correc-Tone 502 (Wilson Pickett’s release was 501 (Correc-Tone’s first). Wilbur Golden had first tempted Mickey Stevenson, The Holland Brothers and Popcorn Wylie to quit Motown and work for him at Correc-Tone. Robert Bateman and Sonny Sanders followed, bringing with them The Satintones, who were renamed, The Pyramids. But The Hollands and Stevenson were lured back when Berry Gordy offerred them brand new Cadillacs and a high regular salary. So, Bateman became Golden’s A&R man and ran the studio, in Holland and Stevenson’s absence. Naturally, they used Motown’s musicians, moonlighting late at night, and used some of Motown’s artists for background singing, and songwriters. Cheers Robb, fantastic information as always. As has been commented many times few degrees of separation around Detroit at the time. Correc-Tone had in addition to Pickett, Bateman Sanders and Wylie, Motown secretary, Janie Bradford, writing songs (under the alias of Nikki Todd), along with Herman Griffin as a writer and singer, future Motowners, William Weatherspoon and Yvonne Vernee, as well as other well-known Detroiters, such as Gino Washington, Don Juan Mancha, Laura johnson (Correc-Tone’s own secretary), Buddy Lamp, writer Ron Davis, and many more that also worked for Ed Wingate at Golden World/Ric Tic, and with Don Davis and Lebaron Taylor at Solid Hitbound, and with Don Davis at Thelma Records. The Primettes, while working for Robert West at his LuPine Records, were said to have backed a few of his productions in 1960. One of those said to have been backed up by The Primettes was “I’ll Get Along” by Al Garner (Gardner) – LuPine 121. You can faintly make out Diane’s voice on that one, just as you can on Pickett’s 2 Correc-Tone 501 cuts. 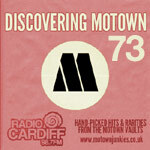 Nelson George in his great Motown book “Where Did Our Love Go,” describes Diana Ross as “squeaky-voiced” on this record. That about sums it up. I find it nearly unlistenable.